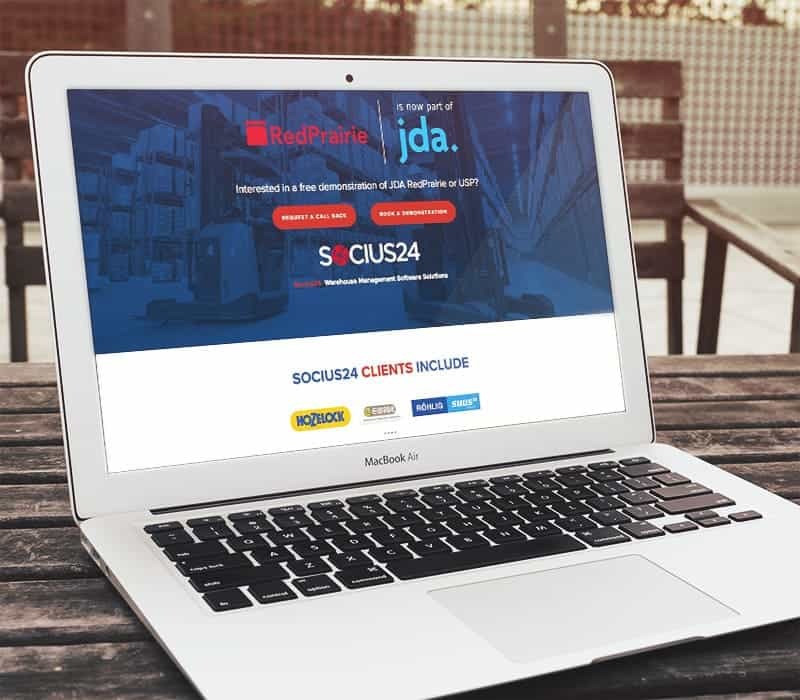 Socius 24 help businesses optimise their logistics operations with the implementation of the JDA RedPrairie Warehouse Management System. They know how important implementing Warehouse Management Systems are to customers. Being ‘on time and on budget’ is not enough anymore. They provide real value at every level from consumer to warehouse floor or manufacturing plant to the Boardroom. They understand and feel their customers’ concerns and know how to mitigate and eliminate the barriers to achieve the joint goal to provide project success. Socius 24 previously had their website built in house on Wix. This didn't have the functionality they needed to really promote their services. They wanted us to create a fast, efficient and effective site to showcase their brand. So we did just that. 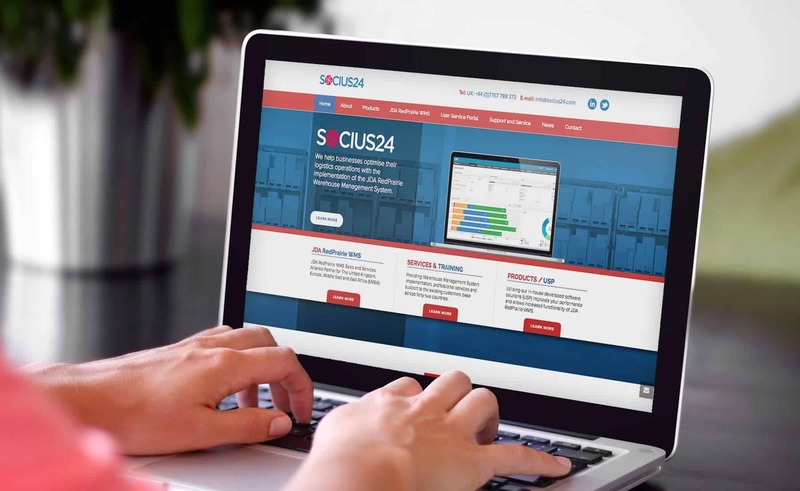 We designed a brand new look and style, expanded their products and services, cleaned up their brand messaging, and created a site which was fast and efficient, just like Socius 24.